Leslie is an original member of the Sandbox and the Creator and Producer of SANDBOX RADIO. 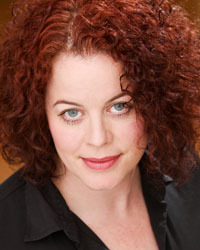 She has been a theatre artist in the NW for over 20 years, appearing at ACT, 5th Avenue, Seattle Repertory Theatre, The Village, Seattle Shakespeare Company, TAG, The Bathhouse, Centerstage, SCT and more, and regionally at Arizona Theatre Company, Kansas City Rep, Idaho Rep, and the Texas and Virginia Shakespeare Festivals. She earned her MFA at the University of Washington under the tutelage of Jack Clay, and holds a BFA from SMU. Leslie is also a founding member of the Endangered Species Project.